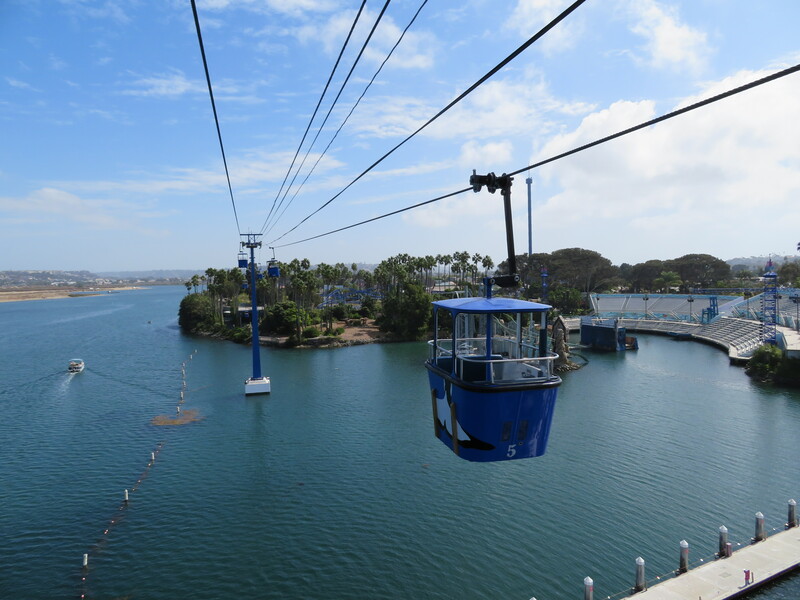 SeaWorld is struggling of late but the oldest operating gondola in California provides a classic experience that’s far from controversial. 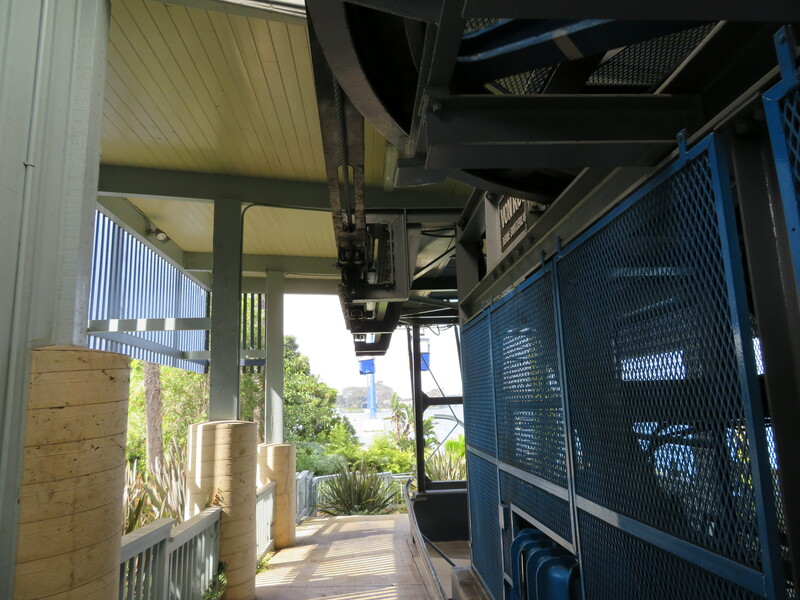 The 25-cabin Bayside Skyride leaves the park and traverses Mission Bay before turning around on the far shore. 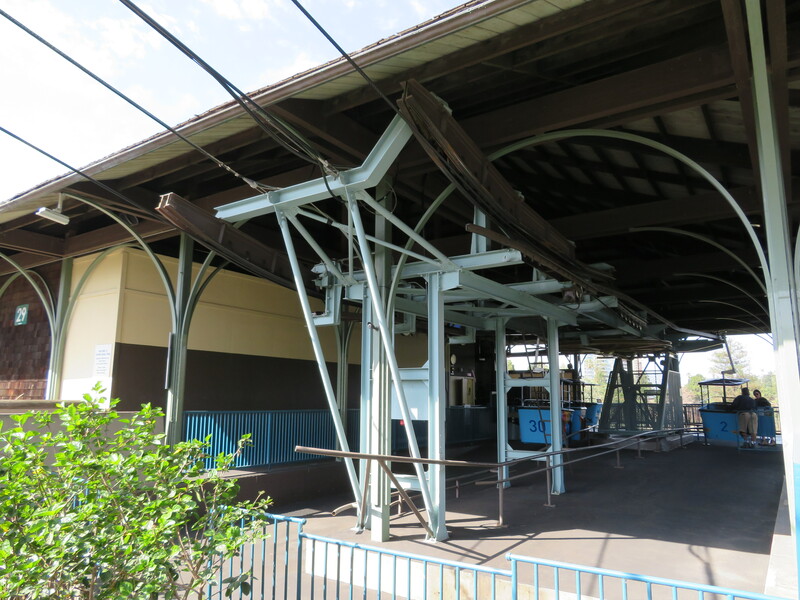 Riders must take the round trip and there is no option to disembark at the return terminal. 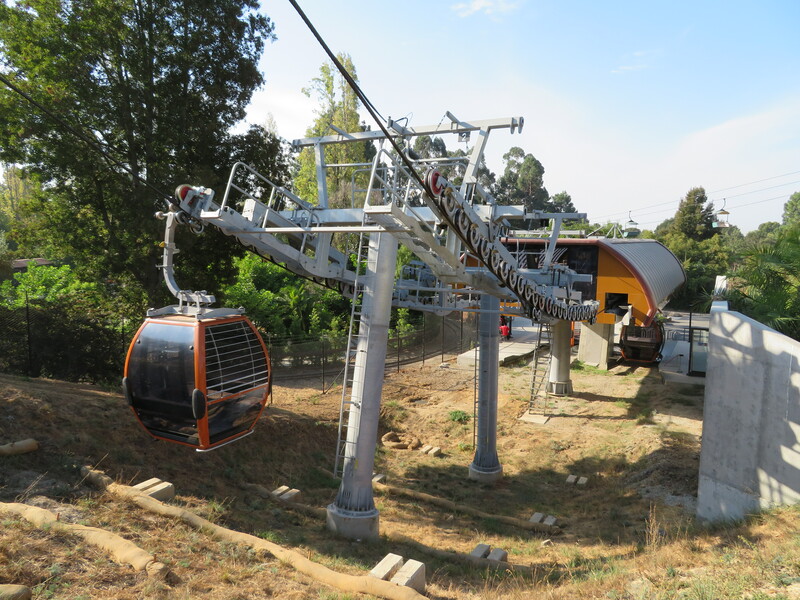 Dating back to 1967, this is the oldest operating gondola in California and the fastest VonRoll 101 ever built with a maximum rope speed of 750 feet per minute. 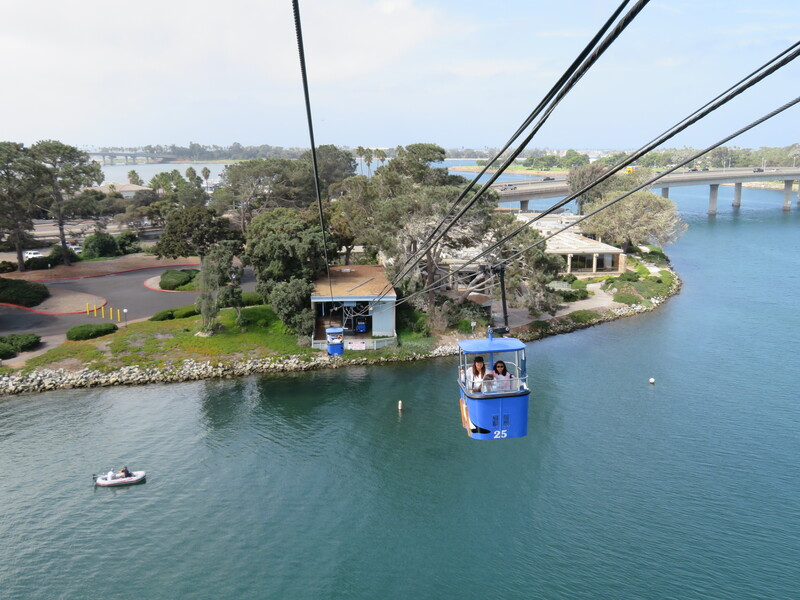 With SeaWorld’s live Orca shows going by the wayside in 2019, hopefully the Bayside Skyride enjoys many more years lifting visitors over San Diego’s natural waters. 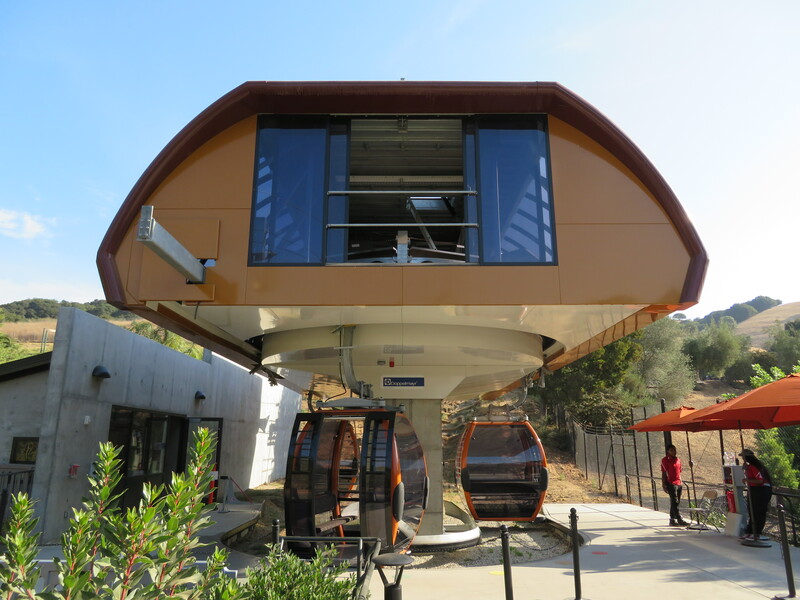 When deadly fires engulfed parts of Napa and Sonoma counties this fall, I worried one of the most distinctive gondolas in the world would be lost forever. 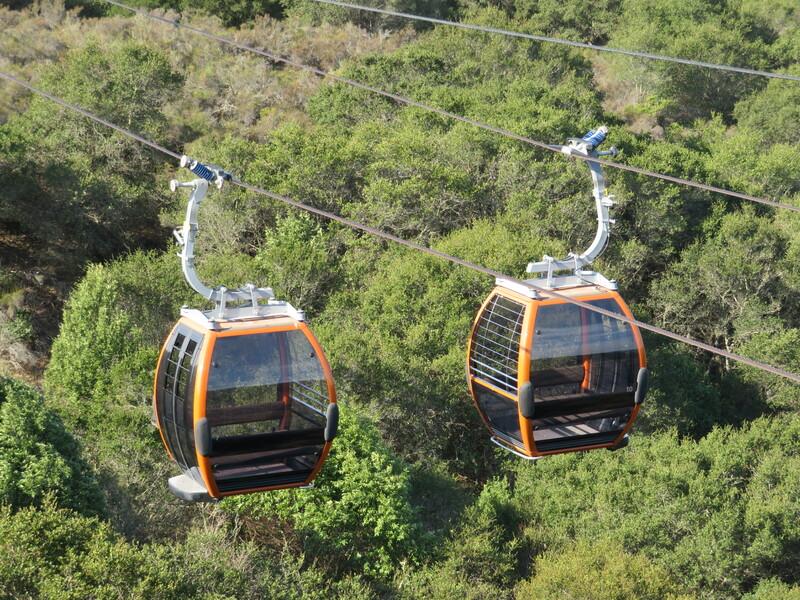 Thankfully, the town of Calistoga was spared, where Sterling Vineyards operates a totally unique gondola-based wine tasting tour. 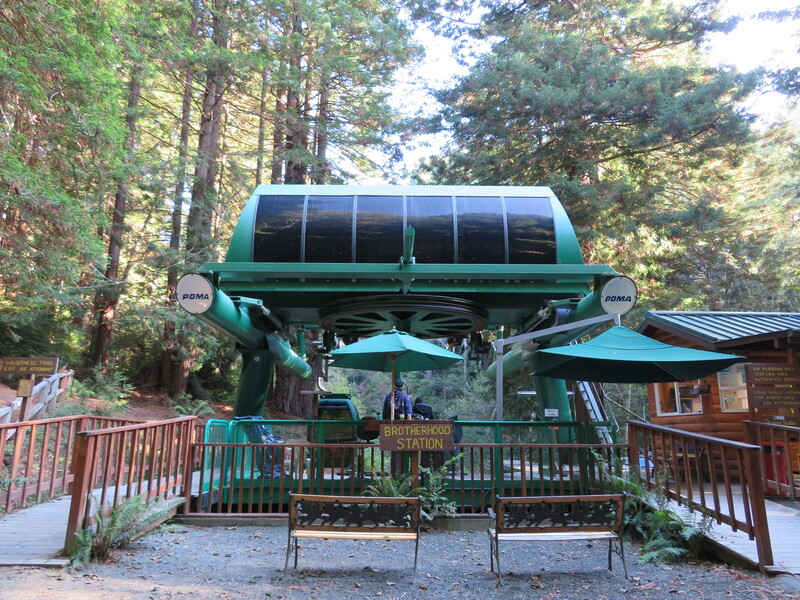 The Hall system runs one way in a triangle utilizing four-passenger Skycruiser cabins. 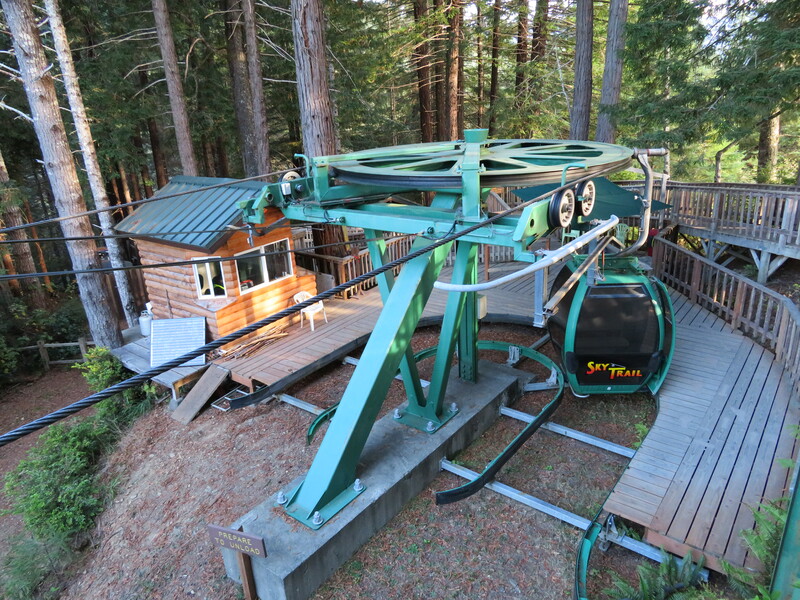 Fire cleanup prevented me from riding this one on my recent trip but I will be back someday to check it out and drink some wine. Fun time wine tasting yesterday in Napa Valley! 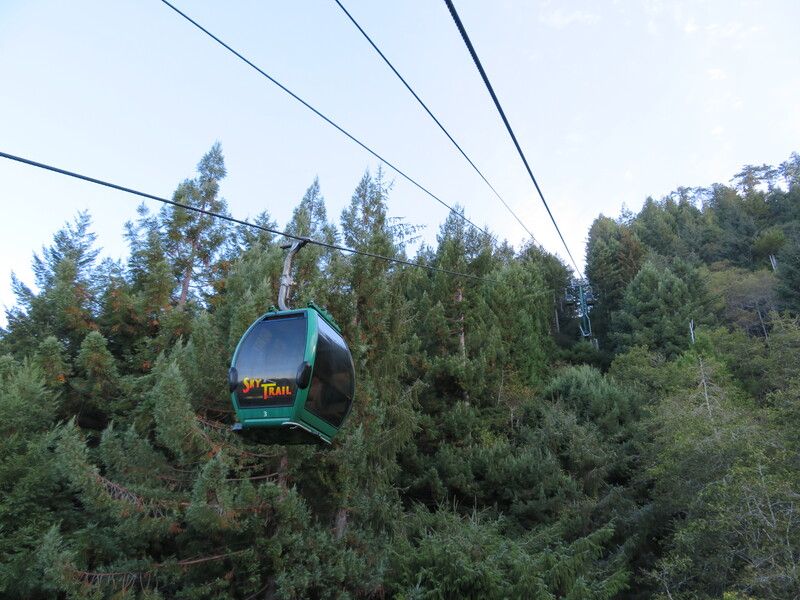 California’s northern coast showcases the incredible natural beauty of the state in a different way than Lake Tahoe or the inland deserts. 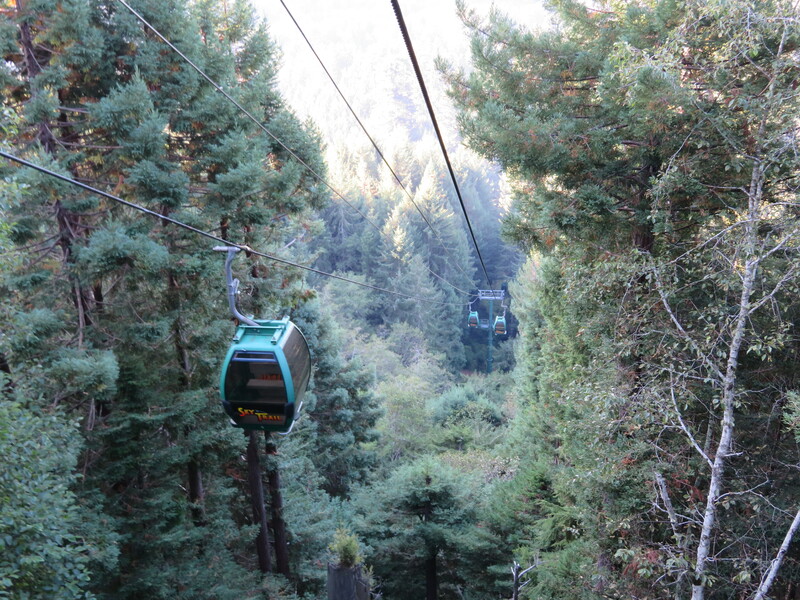 Trees of Mystery is a roadside attractions anchored by a Coastal Redwood called the Brotherhood Tree. 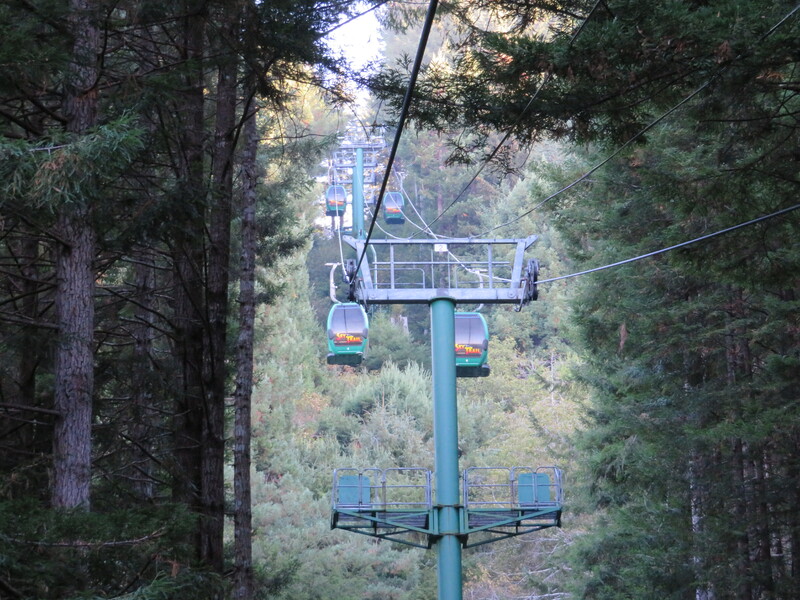 The 2,000 year-old behemoth stands just feet from the gondola’s drive terminal, itself a 15-minute forested walk from the highway and ticket office/gift shop. 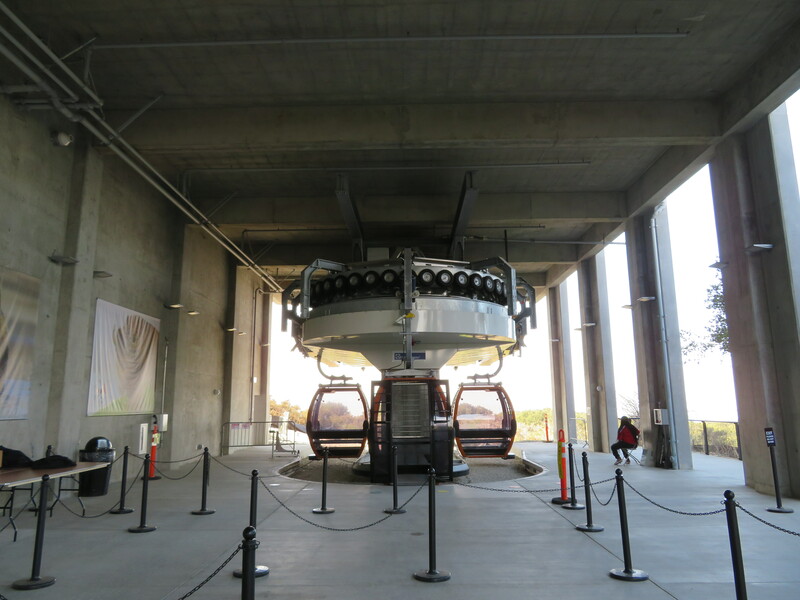 Leitner-Poma designed a pulse system which utilizes eight equally spaced cabins for six passengers each that first carried riders in 2001. 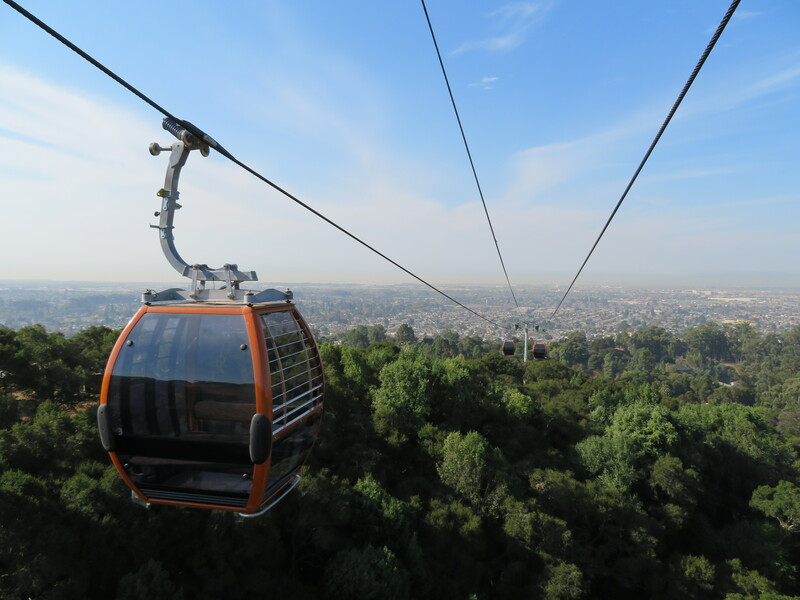 The SkyTrail avoids some of the problems I’ve experienced at other pulse gondolas, namely closely-spaced cabins that obstruct views. 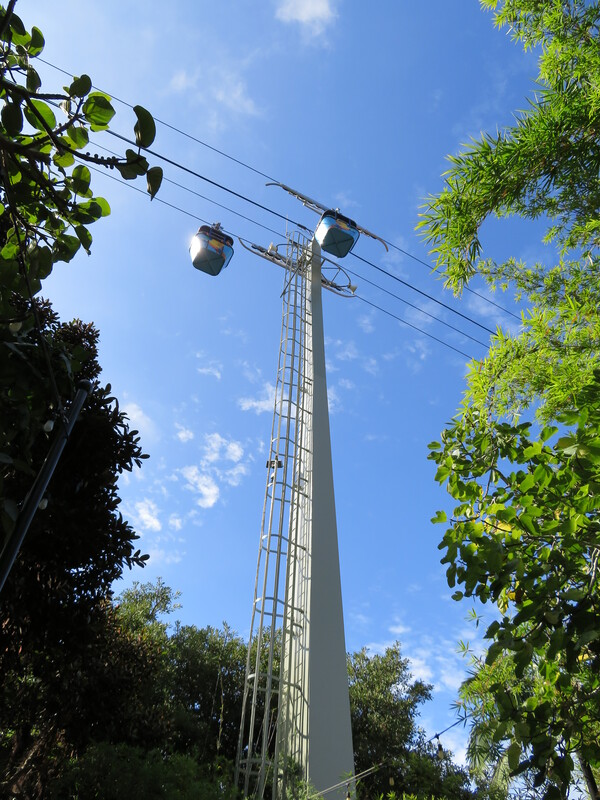 The tradeoff is the ride slows to a fraction of its maximum 1,100 fpm line speed seven times during a round trip. 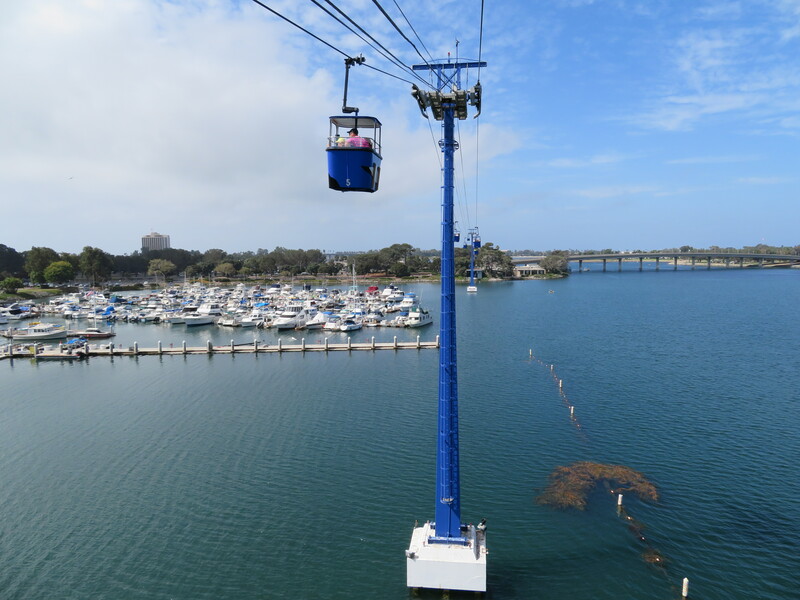 That’s hardly a problem when you’re floating through 300-foot tall living giants. 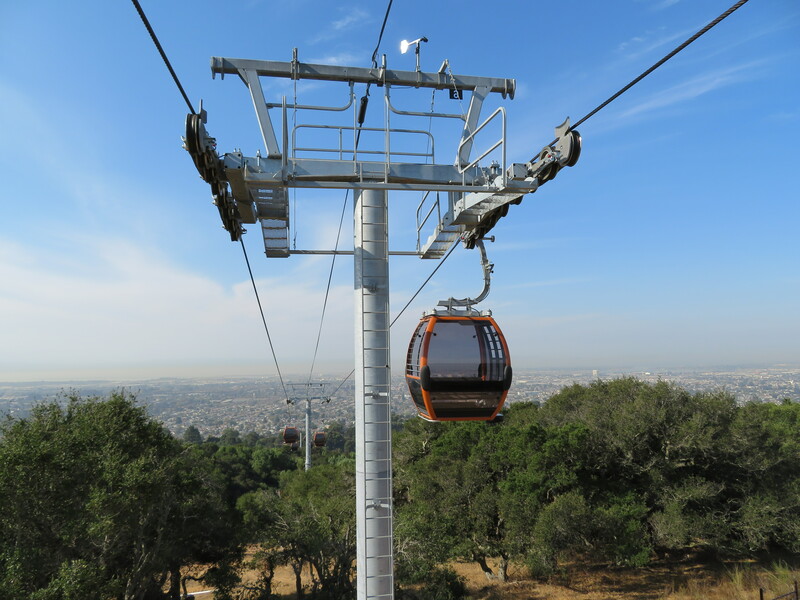 Another one I haven’t yet gotten to ride is a 1975 VonRoll that operates at California’s Great America park in Santa Clara (formerly Paramount’s Great America, formerly Marriott’s Great America.) 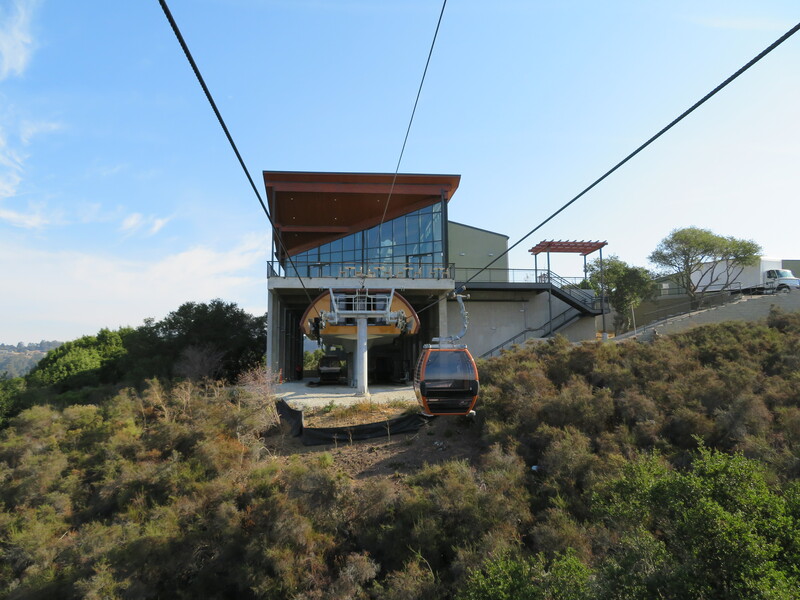 The ride has two names depending on where you board but is setup as a traditional gondola with two stations. 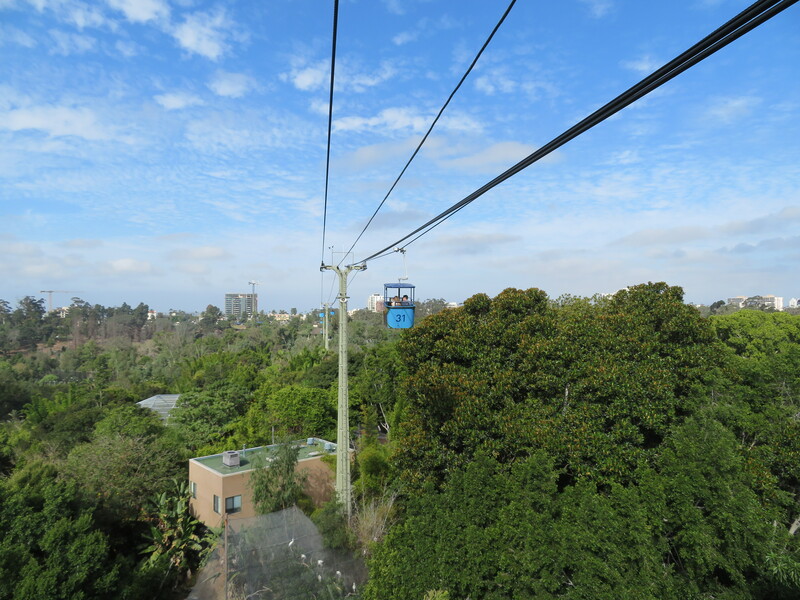 Like with other VonRoll skyrides, attendants physically turn every cabin around by hand. 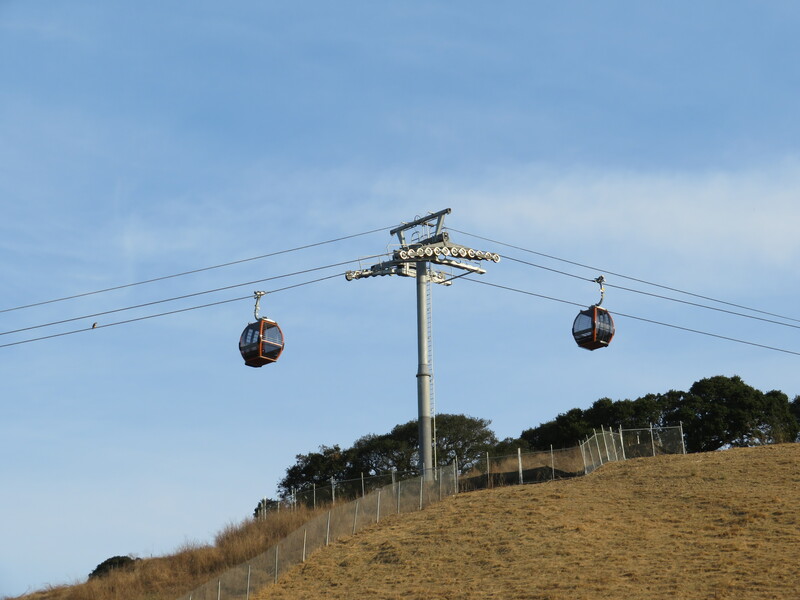 Unlike the five gondolas above that operate virtually every day of the year, Great America and its gondola operate only at peak times, so check ahead if you want to ride it. 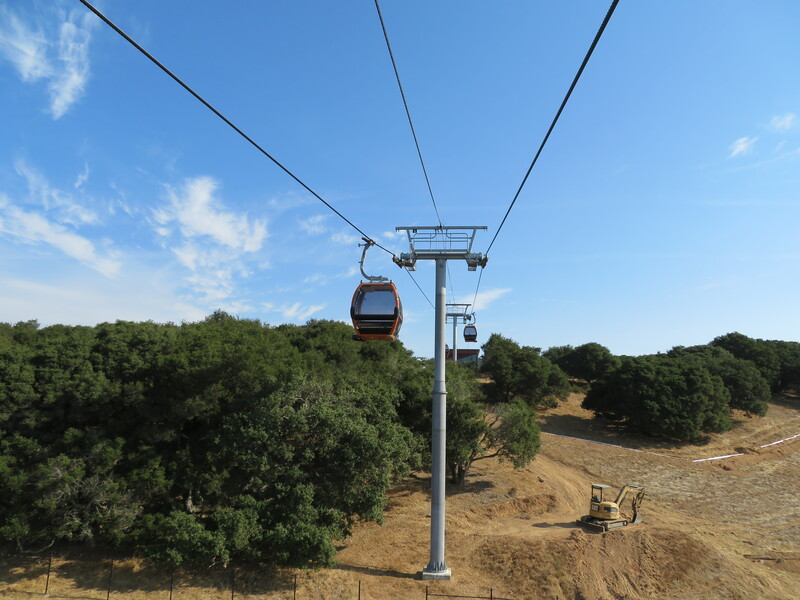 When I drove the thousand-plus miles from San Diego to redwood country last month, I was struck by how gondolas can succeed just about anywhere with people, from a small hillside in a city park to a rural roadside or bustling amusement park. 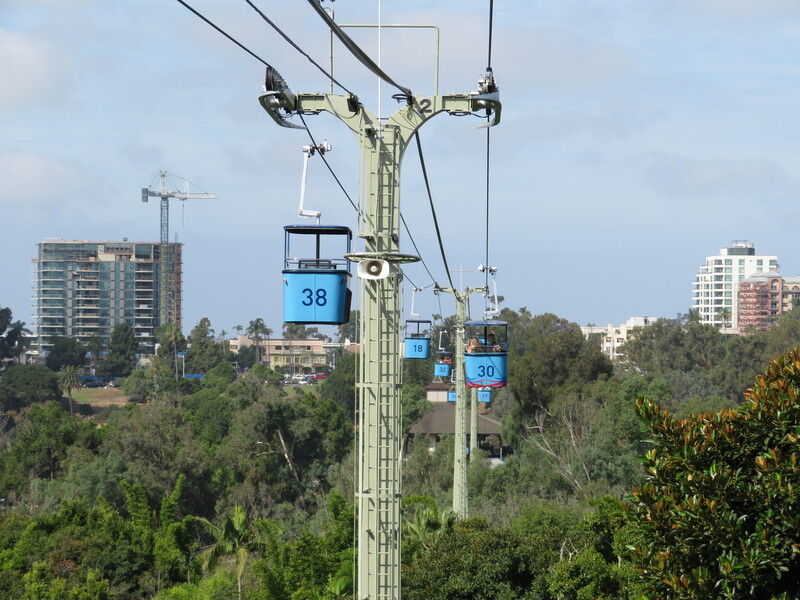 An exciting development is the possible return of a gondola to the ultimate California attraction in Anaheim. 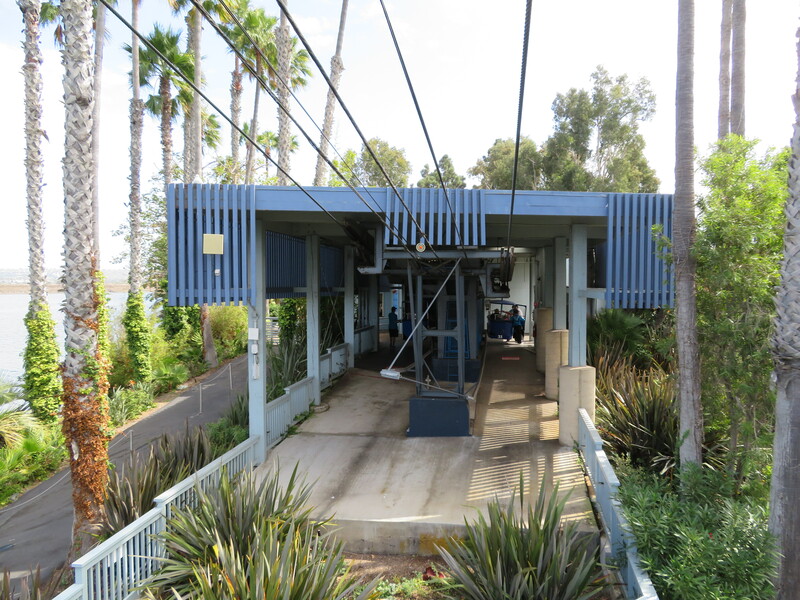 I’m told Disney executives are weighing a return of the Skyway, another VonRoll which operated at Disneyland from 1956 to 1994. 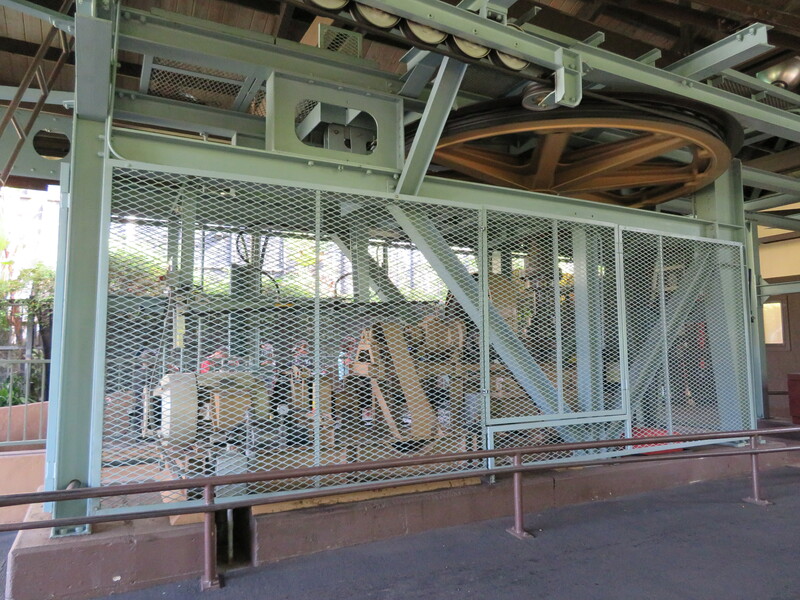 Discussions with manufacturers are apparently underway and the park’s current holiday commercial could be a clue they are going well. 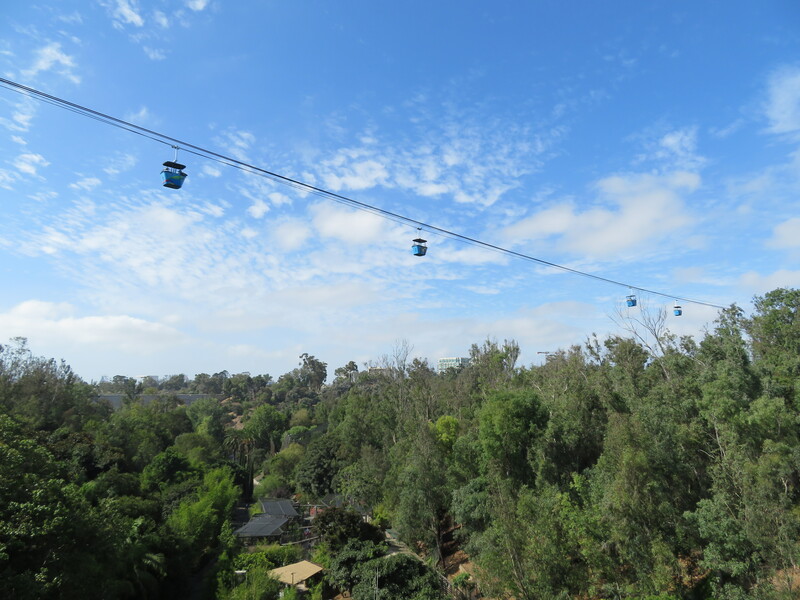 The San Diego Zoo Von Roll Skyride isnt going anywhere for a very long time. 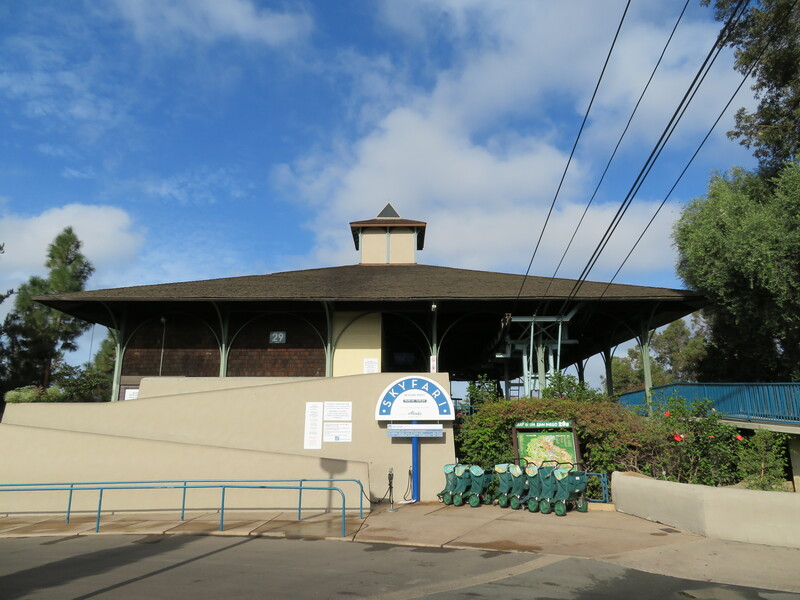 Loved and well taken care of. 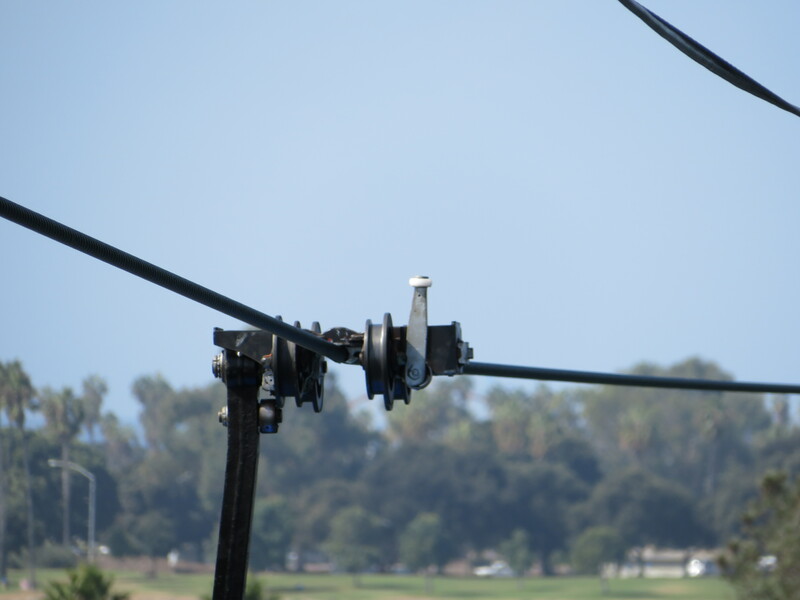 No plans for a new Dopplelmayr. 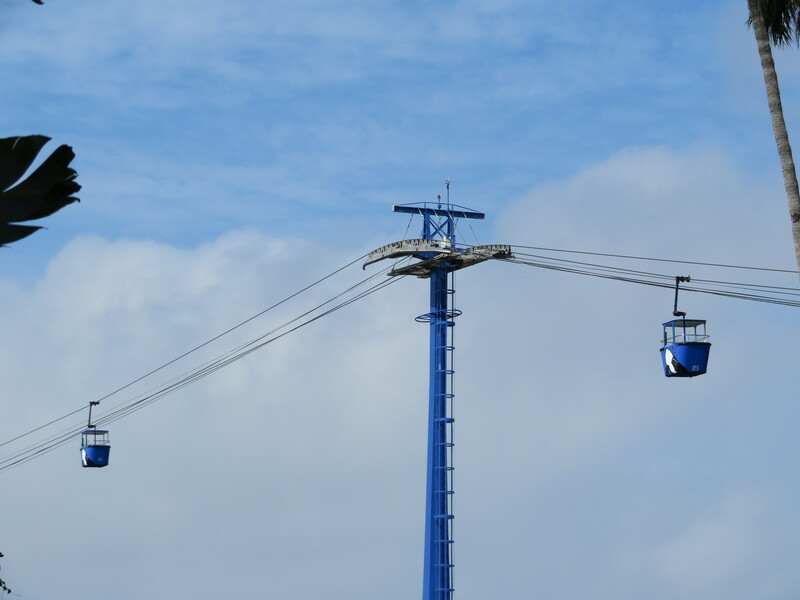 In this day and age you just never know. 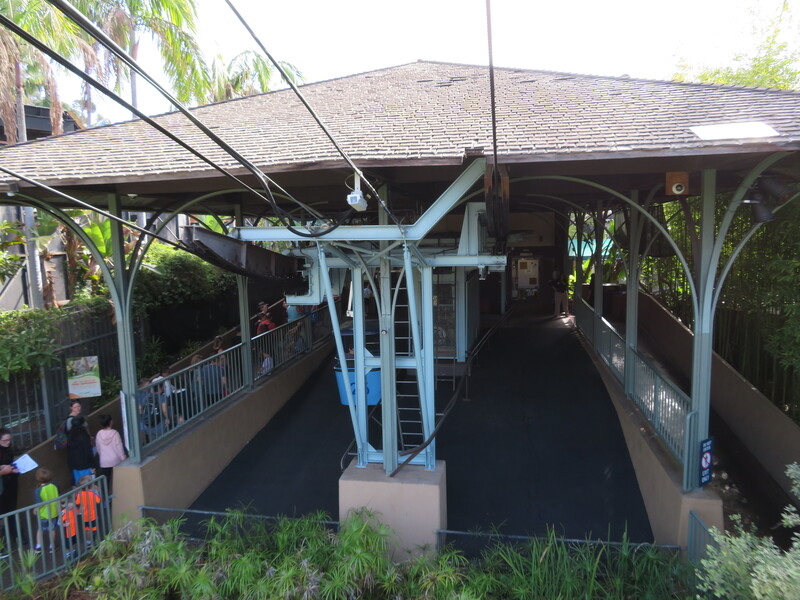 The only one I ridden was the Bayside skyride by Von roll. 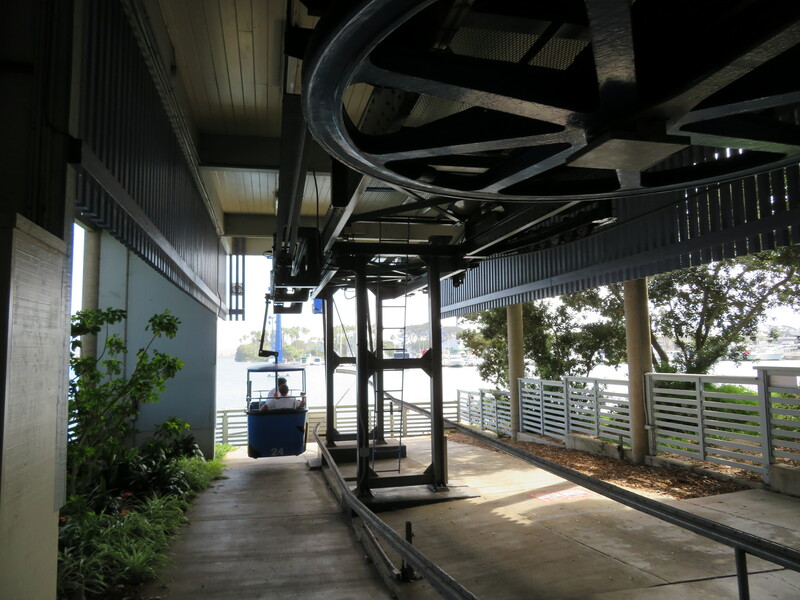 That lift is old! 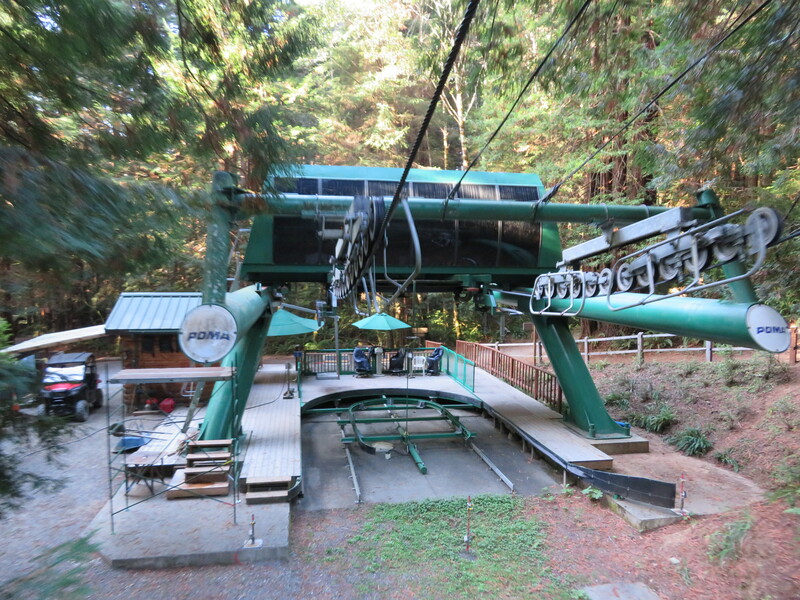 I rode it before they had automated launching so operators had to push them out manually.